Against all odds, you likely know someone who still hasn’t signed up as a Facebook user. Maybe you’re a beginner yourself, or perhaps you just haven’t had the time to explore every last corner of the world’s most expansive social network. The first thing you’ll probably want to do is upload a profile picture, HubPages.com advises. You can easily upload an image of yourself by clicking on the link that appears when you hover your mouse over the space allocated for your profile picture. Alternatively, choose to upload your picture from a file on your desktop or laptop (or on your smartphone via the Facebook online application). Once you’ve done that, you are ready to tackle Facebook. Let’s take a social stroll through the network’s main features, policies and culture norms. From there you will be prompted to choose a password, enter your date of birth (you’ll be able to hide this information on your Timeline later) and indicate your gender. Facebook uses your gender information to construct sentences about you on the site. Once you’ve completed your Timeline, start searching for and adding friends. “As you accumulate friends, Facebook will be able to suggest additional contacts as its algorithm generates connections among your growing network,” says Buck. You’ll see a list of suggested friends on Facebook’s homepage, in the People You May Know sidebar. “Finding friends on Facebook is incredibly important, not simply to connect for connection’s sake, but to stay up to date on their latest news, thoughts, activities, whereabouts and tastes,” Buck continues. The place to access that information is the News Feed. Once you’ve logged into Facebook, the first thing you’ll see is the News Feed. “There you’ll view friends’ status updates, new photos, links to articles, et cetera,” Buck explains. Facebook’s algorithm, together with your own activity, determines which events are most important, and thus, whether it makes the top of your News Feed. “Think of it like the front page of a newspaper, determined by an algorithm rather than an editor. Therefore, you won’t necessarily see updates in the order they’re posted, but in order of timeliness and perceived importance,” Buck clarifies. Facebook tagging means you can mention and directly link to another Facebook user, whether in photos, status updates, check-ins or comments. For instance, when you tag someone in a photo, that user will receive a notification, and the tagged photo will appear on his or her timeline (that is, unless he or she has disabled the tagging feature as a privacy option). The tagging tool fosters conversation and creates additional connections among users, says Buck. 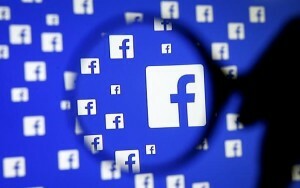 Facebook has also introduced a hashtag system similar to Twitter. A hashtag can be added to any post – a status update, a photo, a link, and so forth. “Just know that any status, photos or other Facebook updates with a hashtag will be visible in searches,” Buck warns. You can search for posts with specific hashtags by typing the hashtag in the search bar at the top of the page.